Home CRRRITIC Books Marijuana growers and users “fired up,” too! Marijuana growers and users “fired up,” too! Hard to believe, but America’s long prohibition against marijuana may be coming to an end, at least in places like Colorado and Washington State, both of which voted this week to legalize pot. And that’s for recreation, not for any medical purpose, real or phony. In 16 other states and D.C. marijuana is legal with a doctor’s prescription. 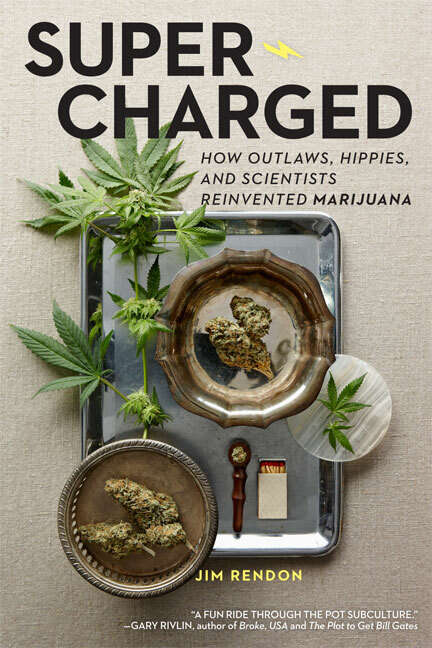 I wasn’t surprised by this week’s results, because I’d recently read Supercharged – How Outlaws, Hippies and Scientists Reinvented Marijuana by Jim Rendon, where I learned that public support for legalization jumped from 31% in 2000 to 50% in 2011. Unlike the “Legends of marijuana journalism” that I blogged about last week, this author is a traditional journalist not part of the pot scene, so he immersed himself in the breeding, growing and medical dispensary world and takes us along for the ride. 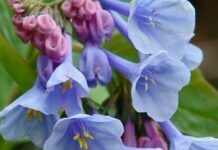 Here are some of the highlights for me as a gardener…and former hippie. And the rumor that today’s pot is much stronger is mostly true. It CAN have five times the THC as typical pot grown in the ’70s. And incredibly, while typical black market marijuana contains 1 to 8 percent THC, dispensary marijuana is usually a whopping 20 percent THC! I’ve always wondered Northern California is such a hot spot for marijuana production; is it the climate? Seems it’s more to do with the migration of pot-smokers from places like Haight Ashbury. Today Humboldt County still has a large number of growers, but pot-growing is becoming less and less regional. Now it’s grown just about everywhere. One growing technique I’d love to see in person is the growing of pot in trees, the better to avoid detection by cops on the ground and in planes. It’s achieved by hauling 10-galllon pots up 40 feet into trees and tying them to the trunk with bailing wire. The trees are pruned to provide just enough camouflage while causing as little shading of the MJ as possible. During the ’80s and ’90s most American pot-growing was done indoors, away from police spying, through the use of hydroponics. With legalization, pot-growing is moving back outdoors because the best marijuana is grown organically, in the ground. (As hydroponics expert Tom Alexander told me, ” Hydroponics are like jug wine.”) Another factor in the movement outdoors is the tremendous amount of electricity used in indoor production – estimated to be 3 percent of California’s total electricity usage. You can learn to grow pot at the wonderfully named Oaksterdam University in Oakland, California. (Get it? Amsterdam in Oakland.) Or by watching any number of videos on Youtube, like this one by pot-growing guru Jorge Cervantes. Small growers express fears of being driven out of business by “Big Pot” and that squeeze is noticeable at the point of sale. Harborside Health Center, the most professional, upscale pot dispensary in California, is pointed to as a model for the industry, but small growers can’t compete for dispensary business. Many say they’ll just continue to sell recreationally – meaning illegally – for now at least. California’s total marijuana crop, for both medical and recreational markets, is estimated to be worth $14 billion annually. No wonder states are eager to tax the stuff. One seasoned grower predicts this for Northern California: “Humbolt and Mendocino could become the Napa Vally for cannabis, with boutique tasting rooms, farm tours, even zip lines above the fields.” And it gets better as he continues describing the scene: “We want the baby boomer who smoked Humboldt weed in the 1970s and 1980s. Now he’s retired, got some arthritis. He spends all of his paycheck at Whole Foods buying organic food and a nice bottle of wine. That is the market we want.” Yep, talking about my peeps. I found Supercharged to be a definitive overview of an important and fascinating plant undergoing a politically charged transition, and a great read. To win a copy just leave a comment telling us why you’re interested. Ascribing your interest to “a friend” is, of course, an option. Deadline is Friday, November 16 at midnight EST. Next articleBringing the green—or not so much? This is comical. Over here on CNN Europe just a little while ago, the reporters were interviewing Obama voters who were now going to go out and celebrate by smoking a joint because they didn’t want to get a headache from partying by getting drunk. So apparently getting high was a better option. Unbelievable. I wonder if rules will be set forth for driving under the influence of smoking a joint ? Does Pot impair thinking and judgement ability as Alcohol does ? How or should I say what would the measure ? How many joints can you safely smoke and still be legal to drive ? .05 joint ? or 2 joints ? This will be interesting. I went to high school in the late 60s early 70s when pot became popular. I never did it but everyone around me seemed to. Does anyone remember what a Pot-Head actually sounds like with dull speech and dense hearing ? Again, how this plays out will be interesting. Today’s pot it’s not the same back in 1970’s… yet there are several things not concluded, as you said, there must be a way to determine if you may or may not drive under the effects of MJ. I was at a party a few years ago with people in their late thirties. There were a lot of body builders there. They smoked pot because it wasn’t fattening like alcohol. It was a very strange experience to say the least. In Washington, they are planning to come up with a limit of intoxication for driving, and the test will probably be a blood test (your tax dollars at work). I think it will take a while for this to be implemented–how much to tax, blood THC limits, etc–and meanwhile, you can be sure the Feds will be suing. This really needs to go to the Supreme Court and the national level. I live right across the border from WA in OR, which voted down legalization (mostly because the initiative was so poorly thought out and written), and it’ll be very interesting to see how it plays out, if it moves forward. And body builders smoking pot for health reasons? I guess they don’t get the munchies or care about their lungs! I guess bodybuilders have to take more care of their livers than of their lungs, due to the protein breakdown involved. And munchies would probably be a bonus, considering how much they have to eat to build big muscle mass. Oddly enough, I really do find it interesting from a gardening perspective even though I don’t use it. The Federal law has got to fall, I’m in my mid-60’s and can’t wait to be able to grow a couple of plants for myself again. As a former regular pot smoker, I can appreciate the apparent turn for the better on the matter of legalization–particularly when considering weed’s arbitrary banishment. After all, I personally have never seen someone who is high be prone to violence (more likely, they would be entranced by the inner workings of a doorknob). I sincerely believe that marijuana should be legalized so it can be taxed and regulated and taken out of the hands of criminals. I am not a user, but I think this issue is totally comparable to Prohibition. Not that alcoholism isn’t a significant problem, but making alcohol illegal did not solve that problem but created a whole bunch of other problems. Just my 2 cents. I’ve had my head in the dirt too long, and didn’t even realize Colorado was on it’s way to legalizing for recreational use. Saw the headlines the day after election day and was well surprised! Somehow I always thought it would be California to be first to turn over a new (pot) leaf and ease up on the restriction. Smoking a bit of pot before gardening was my routine in my major gardening days. It makes it so much more pleasurable! In those days I had people come to my door and knock to tell me how beautiful my gardens were and ask about this or that, what a compliment!!! I live in Colorado and while I don’t partake anymore I think its a law way past its time. Let’s keep the bucks in the states where we need the income and out of the hands of the cartels. And, I think it will help inspire many to learn more about gardening in general which will help in sooooo many ways! Hope the feds wake up to all this. The herb smoking herb gardener!!!! I think I still have an early copy of Jack Herer’s book which was being given out for a legalization initiative in the mid 80s. It’s appalling that such a useful plant is illegal. Sadly i’m not retired nor did we have whole foods here in WNY but………those were the days in those mid 70’s – mid 80’s. And it truly was rag weed during those times. Here’s hoping this book will help me graduate! Marijuana has been grown in trees? I had no idea and would like to know more. I live in Washington and am not surprised the law to use passed. BTY your comment section is very mobile friendly. I have never smoked pot, though just about everyone I know has, but I believe strongly that the criminalization has to end. What a horrendous waste of resources, driven by a combination of political cynicism and cowardice. It is probably a good thing that breeding is not mass controlled at this point. 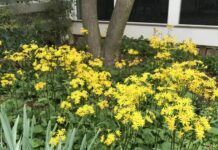 While it would be nice for breeders to patent their strains mass breeding would wipe out the genetic diversity this blog always Rants about with “commercial” breeders. The vast majority of indoor growers do so hydroponically. They are fiercely loyal to their local grow shops. I say shops because paranoid growers vista few of them so as not to establish a pattern. These growers would issue a wholesale rejection of large scale breeding as well as the Wal-Mart of Weed big box approach to hydro being planned by Photon Holdings. I wrote a piece about this plan (http://gregsgardens.blogspot.com/2012/11/the-ultimate-test-will-hydro-customers.html) over the weekend. Jim Rendon and I spent quite a bit of time together and about 80% of the “personalities” in Super-Charged are personal friends of mine. We spoke about the focus of the book and Timber Press wanted a book that concentrated on the USA. After all, this is where they sell books! Cannabis in the rest of the world had a scant mention in the book. Cannabis grows in 200+ countries and cultivation is tolerated or legal in many of them. Jorge Cervantes writes for more than 20 cannabis magazines in 10 languages and his books are published in 7 languages, the latest edition is in Russian language. High Times magazine, published in the USA, is just one of many. 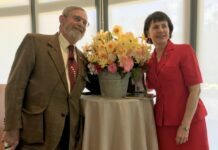 Here is a link to one of my favorites, an extension of O Shaughnessy’s: The Journal Of Cannabis In Clinical Practice’s, http://www.projectcbd.org. Plants know no borders and have no political agenda. We can either learn from plants or suppress their existence. No matter what we do, the facts are still the same, cannabis was here before the “rule of law” and will be here long after we are gone. I hope I am not too late for a chance at the book. More back ground info on the product is always good. It’s not like I need to know how to grow a plant that grows like an annual weed. This book does not appear to be that. Prohibition ended bit by bit and state by state before the Feds gave up and repealed the national law. Pakalolo will most likely follow a similar pattern. The most interesting thing to watch will be how the Feds react to Colorado and Washington state. No matter, this is the beginning of the end of prohibition on pot. I don’t think NC will legalize marijuana anytime soon, but you never know. This is the land of moonshine. It’s not like these people have any respect for the revenuers and folks in these hills would be all about an easy cash crop. Me, I am certainly not opposed to offering another mountain medicinal at the Roadside Possum Stand that I’ll be running to supplement my meager gubmint check in my decrepitude. Once it gets legal though, cannabis won’t be able to compete in price with sang. That will have to remain my main crop of mountain medicinals. Susan, what a well written article! Made me want to read the book. I came of age in Alaska during the 70’s and 80’s where the pot culture was pretty much mainstream. It helped that possession of small amounts were decriminalized; joints were passed as casually as beer at ball parks, back yard picnics, festivals, and the like. While it was illegal to grow marijuana, it didn’t deter breeders from working on their strains to make them unique – several became quite well known for their superior products, branding them with catchy names. Connoisseurs could identify varieties by smell, bud color/shape, or the type of high they created. It’s been nearly 20 years since I’ve partaken of the herb and I have no real desire to do so again but I am still quite fascinated by the art, the science, and the politics of marijuana. Please include me in the drawing! Its about time, when you consider that it was only a political move to ban it in the first place. You know the story, Dupont etc. I’m not here for the book – I had a dorm-mate in college who smoked pot of a (more than just occasional) Saturday night, and I thought it smelled just as bad as tobacco, which I frankly loathe. However, if pot-for-smoking can be legalized, the restrictions on hemp-for-fiber (and paper!) (a completely different, low-THC strain) will have to be eased up as well. Hemp-for-paper/fiber grows more crop on less water than pulpwood trees, it makes more environmentally-friendly rope than any form of polymer/nylon, and can be made into fabric that’s as nice as linen to wear (doesn’t get ‘swampy’ the way cotton can) and doesn’t “need” pesticides. However #2: Yes, we must have legal driving limits! – people high on pot may not get angry/violent the way drunks can, but they can be just as irresponsible.